Successfully Added 8 GB Airplane Shaped USB Flash Drive (Plastic Casing) to your Shopping Cart. 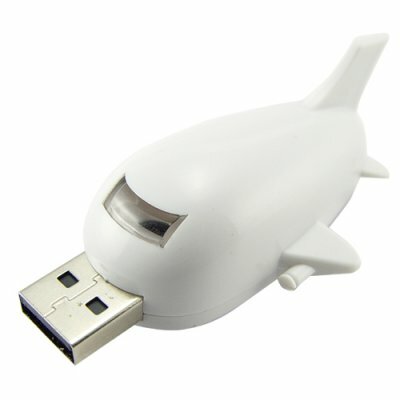 Airplane shaped 8GB USB flash drive in hard plastic casing. This USB flash drive consists of a a two piece molded casing shaped as an airplane and has a extend-retract switch with locking mechanism to keep the USB in place or extended to firmly fit into your computer USB slot. With 8 gigabytes (8 GB) of flash memory, this unit has enough space to hold just about any amount of documents you can throw at it. This well built USB airplane drive is available in our warehouse right now at a great wholesale price. Order yours today and we will ship it out tomorrow!